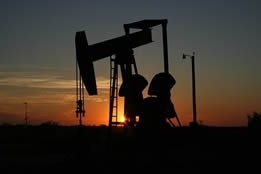 Modest crude price gains on Friday did nothing to dispel the persistent worry of a global economic slowdown within the trading circuit, and as a result West Texas Intermediate, which settled up 8 cents to $52.72 per barrel, ended the week down 4.6 percent - the benchmark's steepest weekly loss to date in 2019. Brent fared no better, gaining 51 cents to $62.14 per barrel but posting a weekly loss of about 1 percent. The sole focus of traders' fears remains the trade dispute between the U.S. and China: although all indications are that it will be resolved sooner than later, worries over day-to-day developments continue to plague crude's performance - and on Friday, fundamental support for oil was offset by the shock effect of U.S. president Donald Trump stating the day prior that he did not plan to meet Chinese president Xi Jinping before a March 1 deadline to strike a trade deal. And while the strong U.S. dollar also helped mitigate crude's fortunes, the analytical community continues to be bewildered by the overly jittery behaviour of traders, especially in light of news that the Organization of the Petroleum Exporting Countries' (OPEC) de facto leader, Saudi Arabia, reduced its output in January by about 400,000 barrels per day (bpd) to 10.24 million bpd (a disclosure that would normally have assuaged fears of an inventory glut). Harry Tchilinguirian, global head of commodity markets strategy at BNP Paribas, said, "It seems that macro risk still prevails over constructive supply fundamentals in the oil market." Another factor that would have normally lent support - the U.S. sanctions against Venezuela expected to remove 300,000-500,000 bpd of crude exports from the market - has largely been priced in, and this caused PVM analysts to state in a note that "This is hardly a recipe for a sustained bout of upward buying pressures. "There is, however, one potential lifeline for those of a bullish disposition: the rumour mill is in full swing that the Trump administration will not renew waivers to sanctions against buying Iranian oil." Another development that could sway traders - albeit negatively - if passed is are bills advancing this week in Washington that would make it illegal for foreign nations to work together to limit fossil fuel supplies and set prices - something that would prevent the 14-nation OPEC from coordinating production. What is noteworthy about this initiative is that it is being endorsed by a bipartisan group of democratic as well as republican lawmakers. Michael Cohen, head of commodities research at Barclays, said in a research note, "We believe that if such legislation moved forward, it would threaten the sustainability of the OPEC and OPEC+ grouping, add more volatility to the market, and make the perceived floor under prices even more fragile." All of this compelled John Kemp, commodities analyst for Reuters, to state that "I am normally skeptical when policymakers and analysts say the outlook is unusually uncertain, but at the moment they may actually be justified in making that claim, with the economy delicately poised between moderation and recession, and hyper-sensitive to even small shocks that could nudge it towards either eventuality." He added, "The global economy and the oil market both now show clear signs of a slowdown; every leading indicator tells the same story of a sharp loss of momentum in the second half of 2018 after strong growth in 2017. "But all those indicators for the economy and the oil market are in a range that could be consistent with either an imminent recession or a renewed acceleration after a period of sluggish growth."